Here are a few more of the Mk.II Atomics in Blasted Ti, the last drop was small and this one was too, but I know there were lots of people interested, so here’s a few more. Only drop today! These fine blast Ray Guns came out great, with a blasted finish that is matte but almost “silky,” if that makes any sense. I think you’ll dig ’em. This drop are Mk.II Atomics with the finned base. 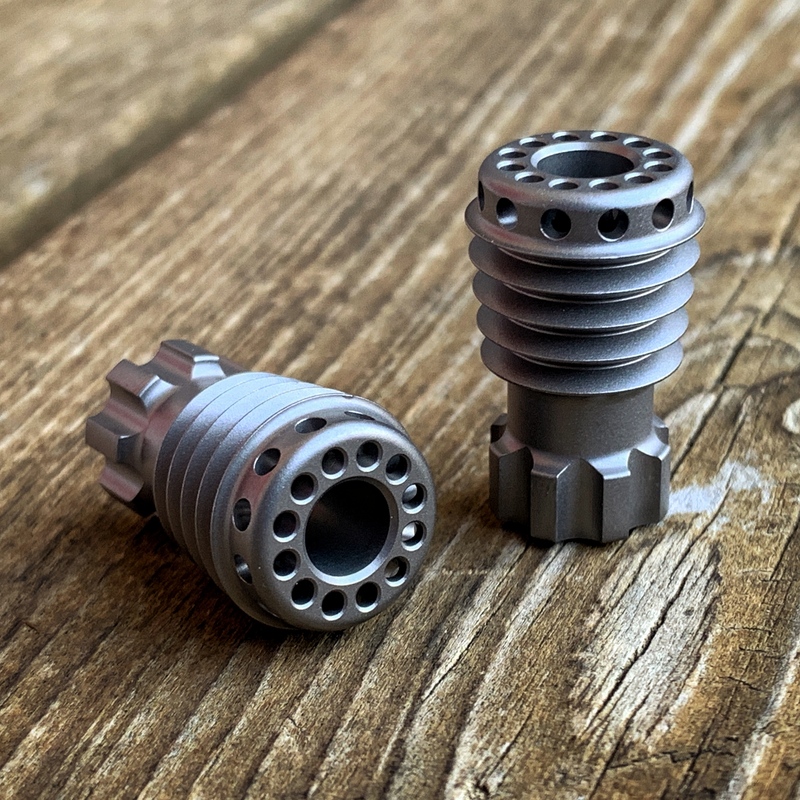 Mk.II Ray Guns in Fine Blasted Titanium are $95 each, shipped to US addresses. US buyers can purchase using the PayPal “Buy Now” button below. Buyers outside the US can hit the PayPal button to purchase and then contact me for a USPS Priority shipping quote at mark@raygundivision.com – Typically this ends up being an additional $15-30 due to Priority International cost, depending on location. Please Note: Shipment outside the US via any method other than tracked Priority or Express is at the buyer’s risk. Enter your email address to subscribe to the Ray Gun Division website and receive notification of new drops and posts by email!